Werewolf fiction denotes the portrayal of werewolves and other shapeshifting man/woman-beasts, in the media of literature, drama, film, games, and music. Werewolf literature includes folklore, legend, saga, fairy tales, Gothic and Horror fiction, fantasy fiction and poetry. Such stories may be supernatural, symbolic or allegorical. A classic American cinematic example of the theme is The Wolf Man (1941) and in later films joins with Frankenstein's monster and Count Dracula, as one of the three famous icons of the modern day horror. However, werewolf fiction is an exceptionally diverse genre with ancient folkloric roots and manifold modern re-interpretations. In Greek Mythology, there is a story of an Arcadian King called Lycaon who tested Zeus by serving him a dish of his slaughtered and dismembered son to see if Zeus was really all knowing. As punishment for his trickery, Zeus transformed Lycaon into a wolf and killed his 50 sons by lightning bolts, but supposedly revived Lycaon's son Nyctimus, who the king had slaughtered. In medieval romances, such as Bisclavret, and Guillaume de Palerme the werewolf is relatively benign, appearing as the victim of evil magic and aiding knights errant. However, in most legends influenced by medieval theology the werewolf was a satanic beast with a craving for human flesh. This appears in such later fiction as "The White Wolf of the Hartz Mountains": an episode in the novel The Phantom Ship (1839) by Marryat, featuring a demonic femme fatale who transforms from woman to wolf. Sexual themes are common in werewolf fiction; the protagonist kills his girlfriend as she walks with a former lover in Werewolf of London, suggesting sexual jealousy. The writers of Wolf Man were careful in depicting killings as motivated out of hunger. The wolf in the fairy tale "Little Red Riding Hood" has been reinterpreted as a werewolf in many works of fiction, such as The Company of Wolves (1979) by Angela Carter (and its 1984 film adaptation) and the film Ginger Snaps (2000), which address female sexuality. 2011 also saw the release of Red Riding Hood (2011 film) with Amanda Seyfried in the main role, with the character name of Valerie. Nineteenth century Gothic horror stories drew on previous folklore and legend to present the theme of the werewolf in a new fictional form. An early example is Hugues, the Wer-Wolf by Sutherland Menzies published in 1838. 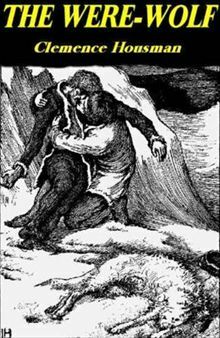 In another, Wagner the Wehr-Wolf (1847) by G. W. M. Reynolds, we find the classic subject of a man who, although a kind-hearted man himself, accepts a deal with the devil to become a werewolf for 18 months accompanying Dr. Faustus and killing humans, in exchange for youth and wealth. "The Man-Wolf" (1831) by Leitch Ritchie yields the werewolf in an 11th-century setting, while Catherine Crowe penned what is believed to be the first werewolf short story by a woman: "A Story of a Weir-Wolf" (1846). Other werewolf stories of this period include The Wolf Leader (1857) by Alexandre Dumas and Hugues-le-Loup (1869) by Erckmann-Chatrian. A later Gothic story, Robert Louis Stevenson's Strange Case of Dr Jekyll and Mr Hyde (1886), has an implicit werewolf subtext, according to Colin Wilson. This has been made explicit in some recent adaptations of this story, such as the BBC TV series Jekyll (2007). Stevenson's Olalla (1887) offers more explicit werewolf content, but, like Strange Case of Dr Jekyll and Mr Hyde, this aspect remains subordinate to the story's larger themes. A rapacious female werewolf who appears in the guise of a seductive femme fatale before transforming into lupine form to devour her hapless male victims is the protagonist of Clemence Housman's acclaimed The Were-wolf published in 1896. The twentieth century saw an explosion of werewolf short stories and novels published in both England and America. The famed English supernatural story writer Algernon Blackwood wrote a number of werewolf short stories. These often had an occult aspect to them. American pulp magazines of the 1920 to 1950s, such as Weird Tales, include many werewolf tales, written by such authors as H. Warner Munn, Seabury Quinn, and Manly Wade Wellman. Robert E. Howard made his own contribution to the genre in "Wolfshead". The most renowned werewolf novel of the twentieth century was The Werewolf of Paris (1933) by American author Guy Endore. This has been accorded classic status and is considered by some to be the Dracula of werewolf literature. It was adapted as The Curse of the Werewolf in 1961 for Hammer Film Productions. In cinema during the silent era, werewolves were portrayed in canine form in such films as The Werewolf (1913) and Wolf Blood (1925). The first feature film to portray an anthropomorphic werewolf was Werewolf of London in 1935 (not to be confused with the 1981 film of a similar title), establishing the canon that the werewolf always kills what he loves most. The main werewolf of this film was a dapper London scientist who retained some of his style and most of his human features after his transformation. This movie draws on elements of traditional folklore and fiction, such as the vulnerability of the werewolf to a silver bullet (as seen for instance in the legend of Beast of Gévaudan), though at the climax of the film the Wolf Man is actually dispatched with a silver-headed cane. The process of transmogrification is portrayed in such films and works of literature to be painful. The resulting wolf is typically cunning but merciless, and prone to killing and eating people without compunction, regardless of the moral character of the person when human. The success of Universal's The Wolf Man prompted rival Hollywood film companies Columbia Studios and Fox Studios to bring out their own, now somewhat obscure, werewolf movies. 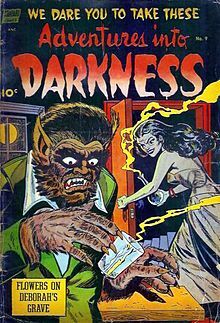 The first of these was The Undying Monster produced by Fox in 1942, adapted from a werewolf novel of the same name by Jessie Douglas Kerruish, published in 1936. In 1981, two prominent werewolf films, The Howling and An American Werewolf in London, both drew on themes from the Universal series. More recently, the portrayal of werewolves has taken a more sympathetic turn in some circles. With the rise of environmentalism and other back-to-nature ideals, the werewolf has come to be seen as a representation of humanity allied more closely with nature. Author Whitley Strieber previously explored these themes in his novels The Wolfen (1978), in which a (non-werewolf) species of intelligent wolf-like creatures are shown to act as predators of humanity, acting as a "natural" control on their population now that it has been removed from the traditional limits of nature, and The Wild (1991), in which the werewolf is portrayed as a medium through which to bring human intelligence and spirit back into nature. The heroic werewolf has also returned via the paranormal romance genre, where wolf-like characteristics such as loyalty are shown as positive traits in a prospective mate. Werewolves have featured a number of times in the long-running British science fiction television series Doctor Who and its other media tie-ins. The first time a werewolf appeared in the television series was in the Seventh Doctor serial The Greatest Show in the Galaxy (1988) during which the young punk girl Mags is shown to have aversion to moon signs and reacted in a violent, animalistic manner to various acts of violence throughout the story. In the cliffhanger to the third episode, she was seen to transform into a discoloured, ferocious, humanoid depiction of a lupine-like creature when a silvery-blue lighting effect is shone upon her during the climactic act in a circus-ring. A wolf-man appears in the 1986 Sixth Doctor story Mindwarp, and the primords in the 1970 Third Doctor story Inferno are also lupine in appearance, but in both cases these are induced mutations rather than people who switched between human and wolf forms. A (more traditional) werewolf also appeared in the 2006 Tenth Doctor episode "Tooth and Claw". In the Harry Potter series (1997–2007) the most prominent werewolf is Remus Lupin who's portrayed as struggling with his curse and terrified of infecting someone. The series also includes a werewolf villain Fenrir Greyback, who fits more with the older image of werewolves. The Potter books, while showing the intense threat the humans transformed to bloodthirsty monsters pose to the population, essentially use werewolves as a metaphor for marginalised groups who have been discriminated against in modern society. In The Simpsons episode Treehouse of Horror X, Ned Flanders turns into a werewolf and devours Homer. In the Animorphs series, the characters can also morph wolves. A very popular modern subgenre consists of stories that treat werewolves as separate race or species (either science fictional or magical) or as persons using magic in order to deliberately transform into wolves at will. Such current-day werewolf fiction almost exclusively involves lycanthropy being either a hereditary condition or being transmitted like a disease by the bite of another werewolf. The form a werewolf takes is not always an ordinary wolf, but is often anthropomorphic or may be otherwise larger and more powerful than an ordinary wolf. Sometimes the beast form of the werewolf will have some physical characteristics borrowed from an animal species other than the wolf, as can be seen in the boar-like werewolf of Wild Country (2006). Many modern werewolves are also supposedly immune to damage caused by ordinary weapons, being vulnerable only to silver objects (usually a bullet or blade). This negative reaction to silver is sometimes so strong that the mere touch of the metal on a werewolf's skin will cause burns. Several werewolf characters have been featured in Terry Pratchett's Discworld series; the most prominent is Captain Angua von Uberwald of the Ankh-Morpork City Watch. Despite the recent upsurge in the motif of heroic werewolves, unsympathetic portrayals of werewolves as monsters also continue to be common in popular culture. This is especially true in movies, which are only slowly incorporating trends in written fiction. There are very few werewolf movies outside the horror genre. In the movie War Wolves, recently shown on the Sci-Fi channel, lycanthropy doesn't have an influence on the "victims'" alignment. Instead, it is up to the individual to choose whether to use their abilities for good or evil. Both the heroes and villains in the movie are werewolves from the same military unit. ^ Stefan Dziemianowicz, "The Werewolf" in Icons of Horror and the Supernatural, edited by S.T. Joshi.Greenwood Press 2007, ISBN 0313337810 (pp. 653-668). ^ a b Searles B (1988). Films of Science Fiction and Fantasy. New York: Harry N. Abrams. pp. 165–67. ISBN 0-8109-0922-7. This page was last edited on 9 October 2018, at 18:43 (UTC).